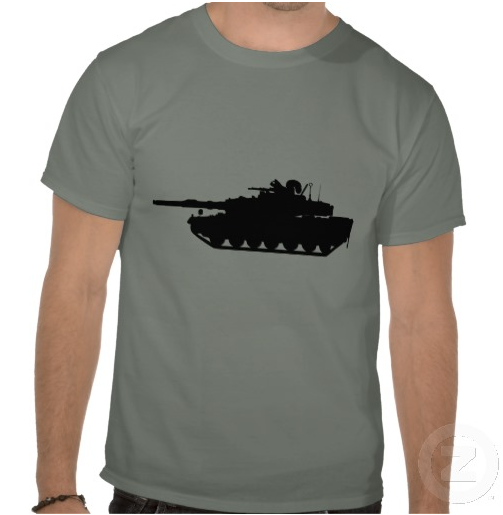 This Darwin's "Survival of the Fittest" Squirrel Shirt shows a squirrel driving an army tank. Available for Men, Women, and Kids. The above vector art of a squirrel on a tank with no slogan speaks for itself. You get to decide what it says, though. The army tank's details are expertly-outlined, and the squirrel himself is ready for anything. Squirrel war! This funny squirrel image can be printed on a variety of high-quality shirts and clothing items.